more expensive to post than previously. 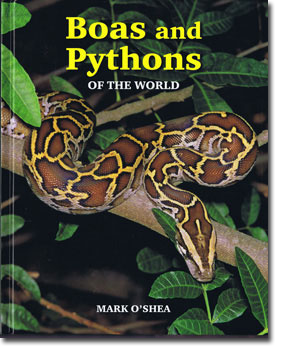 Publisher's synopsis: Few reptiles command more respect than the mighty boas and pythons. From eleven-metre-long anacondas in the Amazon to the diminutive Javelin Sand Boa, no longer than 80 centimetres, these are the longest members of the snake family. Supremely beautiful, they embody power and grace. But are they gentle giants or finely tuned killing machines? 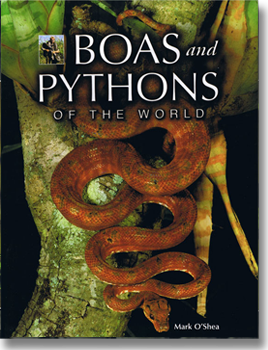 This book provides the answers, exploring the world of these huge snakes on a fascinating journey through the five continents they inhabit. 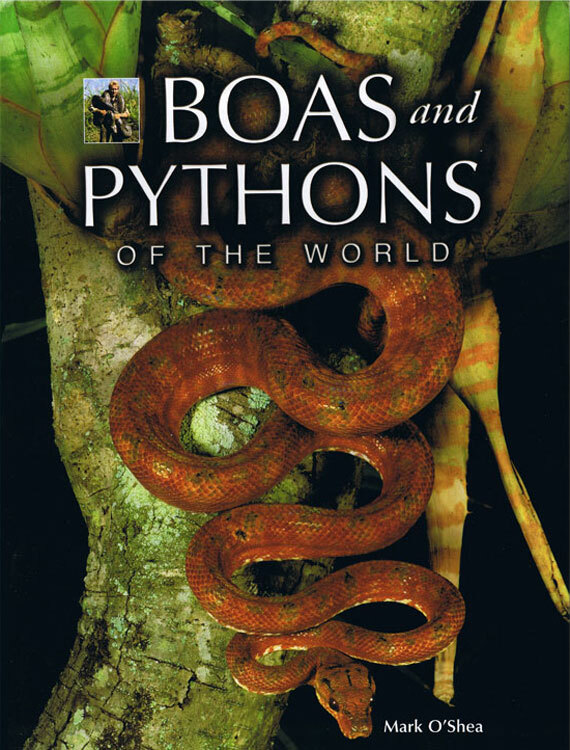 It describes the distribution, habitat, life and habits of all the known species of boa and python, as well as highlighting the threats these magnificent creatures face from habitat destruction, hunting and climate change. Also included are the often overlooked but fascinating basal snakes, primitive relatives of the boas and pythons. 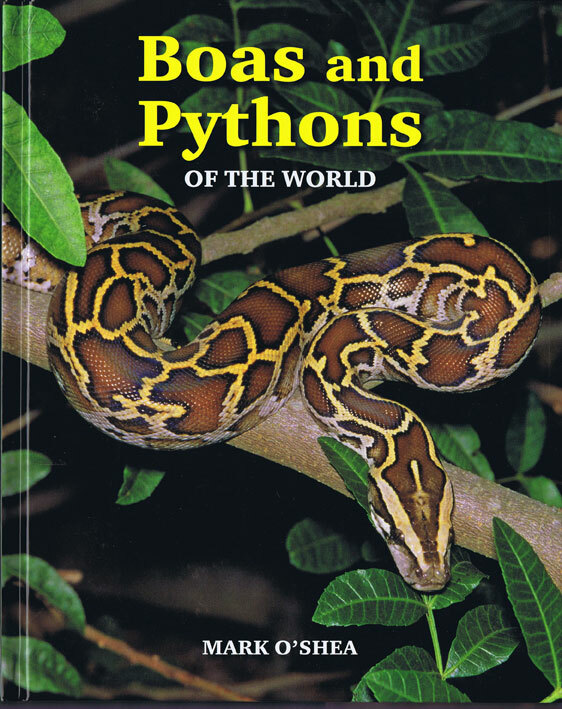 Lavishly illustrated throughout with stunning photographs (many taken by the author and not published before), "Boas and Pythons" provides comprehensive and authoritative information in a lively and accessible format - a fitting celebration of one of the most fascinating yet little-known groups in the reptile world. Man-eating snakes; Life underground, and Conservation. American Macrostomatan snakes, andAmerican boas. Asian macrostomatan snakes; Eurasian sand boas, and Asian pythons. African pythons, and Indian Ocean boas. Indo-Australian basal snakes; Australasian pythons, and Pacific boas.